I have to admit, that this one caught my eye, largely due to the fact that I am currently obsessing over Ligne Roset's Togo Sofa. I neeeed one. Architect Craig Steeley lives in "a conceptually modern house that fits contextually into a Victorian neighborhood" in San Francico. And he has a Togo Sofa. Click here to view the rest of the house. 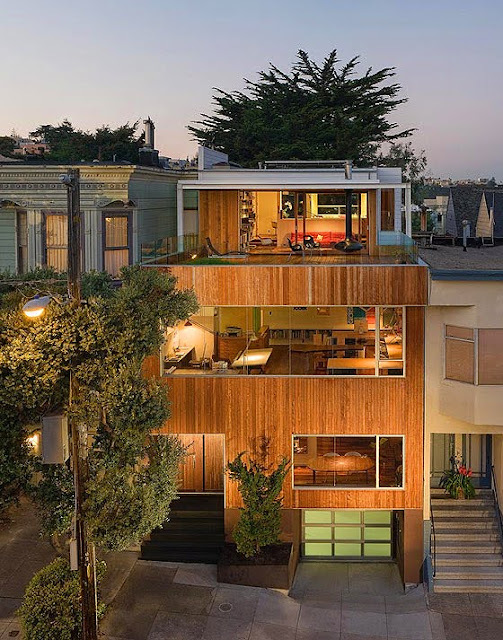 Above, Craig's Togo and below, the home's exterior. 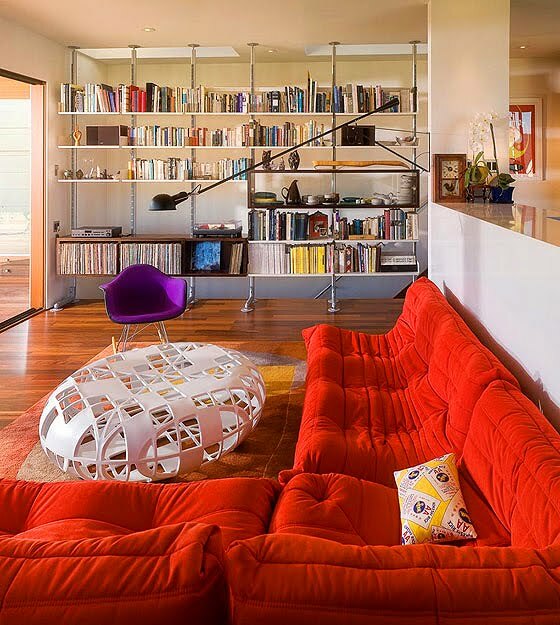 I am a big fan of Ligne Roset's togos and their Pop chair is on my wishlist too! I adore Togo so much that I briefly considered it as a baby name. OK, not really, but I really do love it.